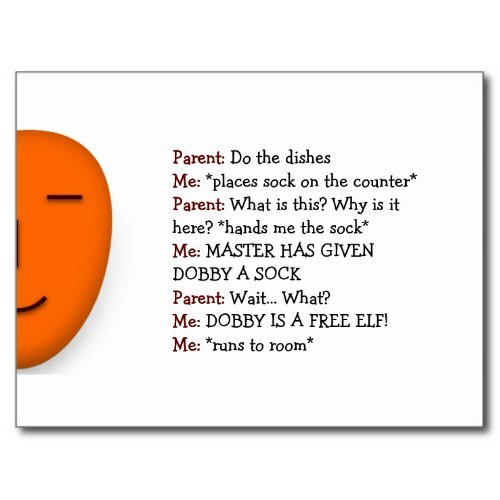 A fun, customizable, send a smile postcard featuring a funny, hilarious, naughty, children's joke involving a household chore - doing the dishes, starring a parent, a kid, Dobby - an elf, and a sock. A joke based on a scene from the Harry Potter book/movie, that any Harry Potter fan would instantly recognise. 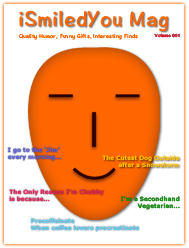 Fun postcard to send to friends, family, parents of teens, grandparents, grandkids, your boy - son - daughter. Send a smile through mail, and say "i Smiled You".